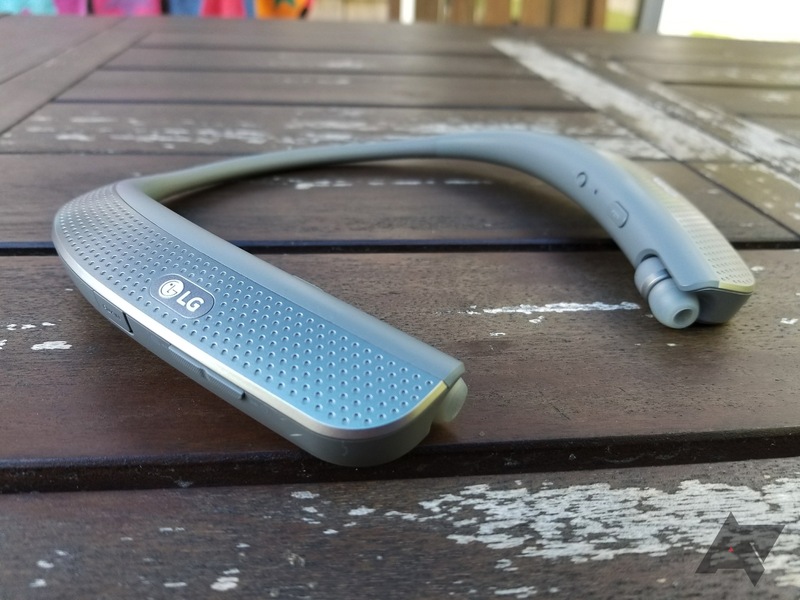 As far as headphones go, LG's TONE Bluetooth headsets look pretty strange. They don't really follow the standard in-ear or over-ear design, instead opting for a battery base that sits around your neck. However, they're still surprisingly popular; I see people wearing these a lot more often than I'd expect. LG's done something right here. 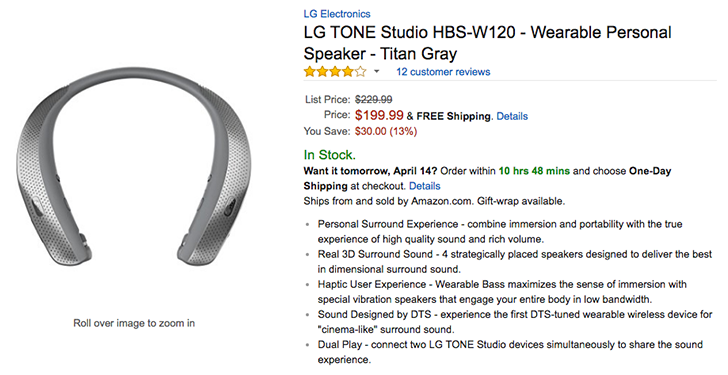 The new LG TONE Studio (HBS-W120) puts a spin on the TONE line by introducing a second method to listen: speakers. That's right - within this base are four speakers that aim to create a "personal sound experience" (LG's words, not mine). In theory, this sounds like an interesting idea - listen with the earbuds in quiet areas, and rock out with the speakers at home or while you're outside. 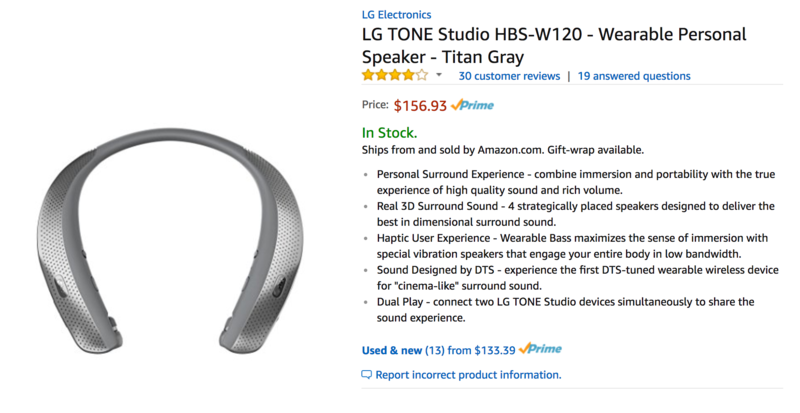 You've probably seen people wearing LG Tones while out and about, but the fairly new Tone Studios bring an interesting twist. They still rest on your neck, they're still powered by Bluetooth, and the earphones still come out with wires, but they also have built-in speakers. And now, you can get them for just $156.93 at Amazon. The Tone Studios went on sale at the end of March for $229.99, but they're already down $30 to $199.99.